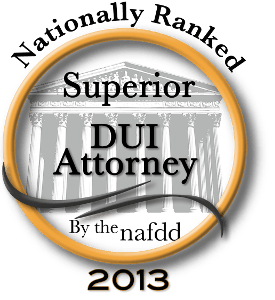 In Arizona, it is unlawful to drive under the influence of any drug that drug impairs you to the slightest degree. The effects of marijuana ingestion are currently being studied in depth. Tetrahydrocannabinol (THC) is the main psychoactive component of marijuana. Current studies and experts suggest that it is very difficult to ascertain how THC affects each person as an individual. Like alcohol consumption, some people can develop a tolerance for the affects of THC. It is also difficult to measure how much THC is being inhaled and/or ingested. With alcohol, a person knows how much alcohol is in a beer. For example, a 12 oz. light beer will have a distinct amount of alcohol in it. However, with marijuana, it is extremely difficult to measure the amount of THC in each plant. Different marijuana plants produce varying grades of THC. Further, human inhalations will vary from person to person. With all of these variables, it makes it extremely difficult to state whether a person is impaired simply looking at the amount of THC that was found in their blood. Some people with high concentrations of THC in the blood may have a tolerance to the effects of the THC and therefore, not feel the effects like someone who may be using it for the first time. Since her admission to the Arizona Bar in 1998, Ms. Dieglio has devoted her practice to criminal defense in Tucson, first as Pima County Public Defender, and then as a partner at Charnesky & Dieglio.